Dimensions 39' by 34'0" by 12'4"
Powerplant 1 950 hp (708 kW) Wright Cyclone R-1820-50 Cyclone nine-cylinder radial engine driving a three bladed propeller. The Duck was produced in sizeable numbers and variations, and was popular with its crews. However, it had been superseded by the SOC Seagull as a battleship and cruiser floatplane by the time war broke out in the Pacific, though a few were still in the Philippines as coastal patrol aircraft, and a number saw combat in the Atlantic theater. 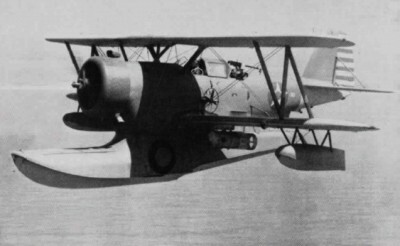 The Duck was one of Grumman's first designs, dating back to 1932. It was intended as a replacement for the Loening amphibian, and the prototype first flew on 24 April 1933. Production deliveries began at the end of 1934. About 23 went to Argentina and a similar number to the U.S. Coast Guard. The first variant to be called the "Duck" was the 1940 J2F-5. The final J2F-6 model was built by Columbia Aircraft under license.